31 Days of OCC: Why OCC? You wanna know a secret? I kinda love it. I’ll answer any and all questions, and if I don’t know the answer I’ll find out. I’m that passionate about it. What started out as something that was fun to do around Christmas turned into a full blown, year-round endeavor in 2010. That was the year I decided that for my birthday I wanted to have an Operation Christmas Child party. So, I posted it on the blog and asked friends and family to give me box packing supplies instead of gifts. And, I invited anyone and everyone to participate. We had a GREAT time that first year so we’ve done it every year since!!!! But, why OCC? 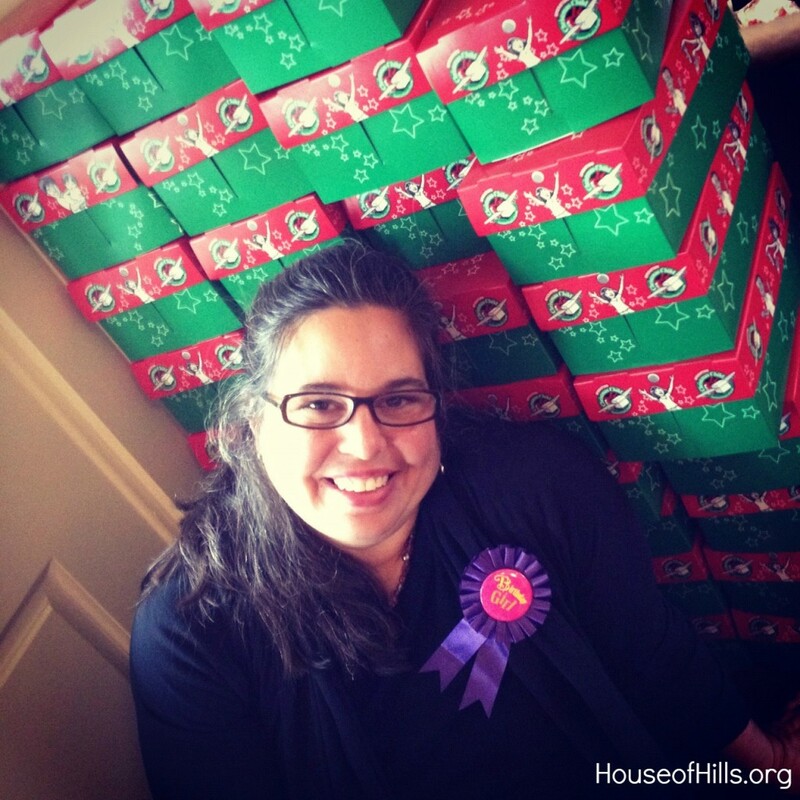 Why shoeboxes? That answer’s easy. My love languages are acts of service and gifts. I LOVE LOVE LOVE to give gifts. Ask my friends. When somebody says they like a particular candy, I write it down to make sure they get it soon. When it’s a special occasion, I like to mark it with a gift. Actually, my favorite gifts to give are “just because I love you gifts.” Those are awesome. A shoebox is something those children can hold and treasure and share and love. Each item in a shoebox communicates God’s love to these precious children. Toothbrushes and toothpaste show that He cares about their physical being. A plush friend shows His love through snuggles and cuddles. Toys show that He cares about joy and fun. It’s the stories of those whispers that bring me to my knees in gratitude and awe. 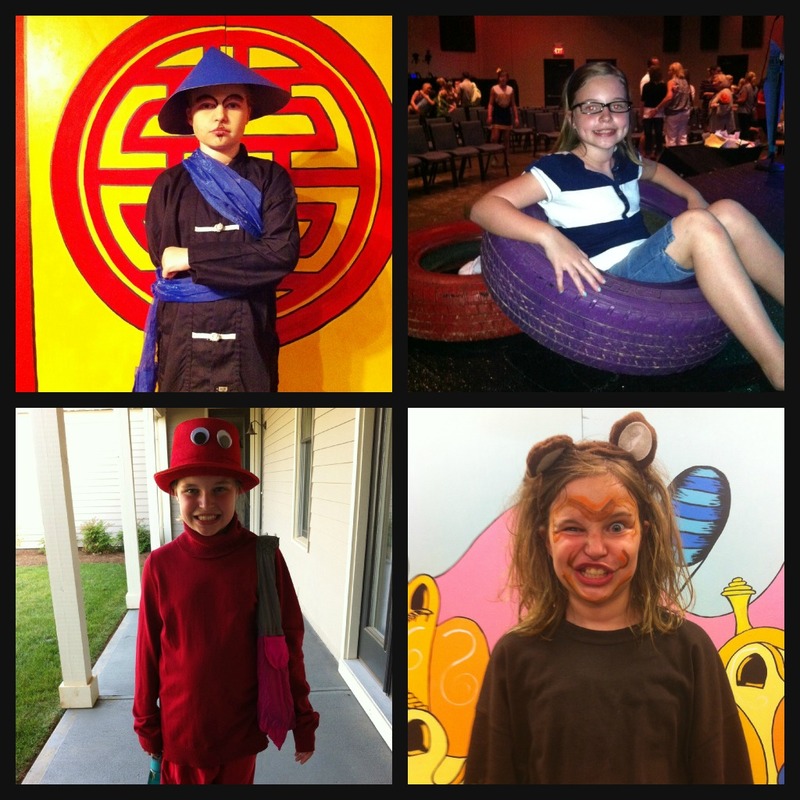 My heavenly Father loves me as much as He loves these little people a world away. And, I know how much He loves them as I’ve watched Him orchestrate hundreds of thousands of people to bring them joy in the form of a shoebox. That’s why I pack shoeboxes EVERY year. That’s why I’ll do it until I can’t do it any more. 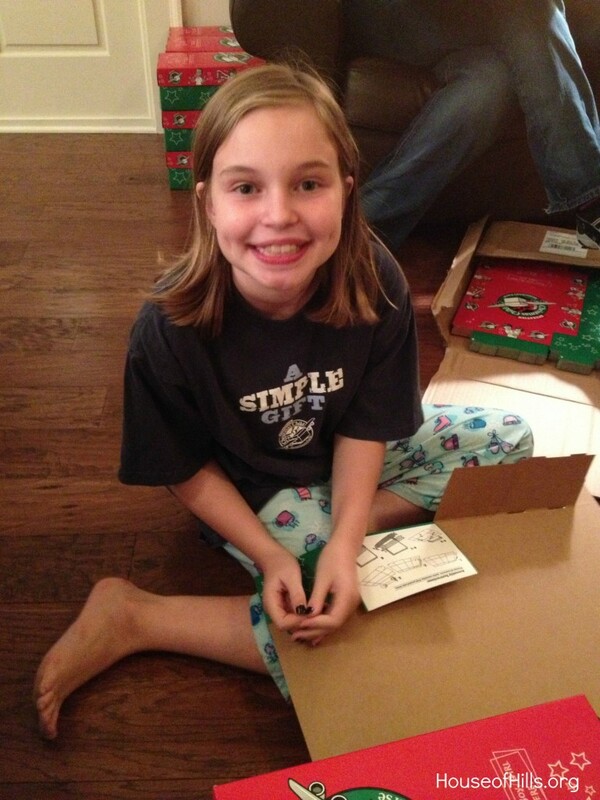 I pack shoeboxes to give the gift of God’s love. Won’t you join me this year? For the last four years on the second (or third) Sunday of November, the trunk of my van has looked something like this. 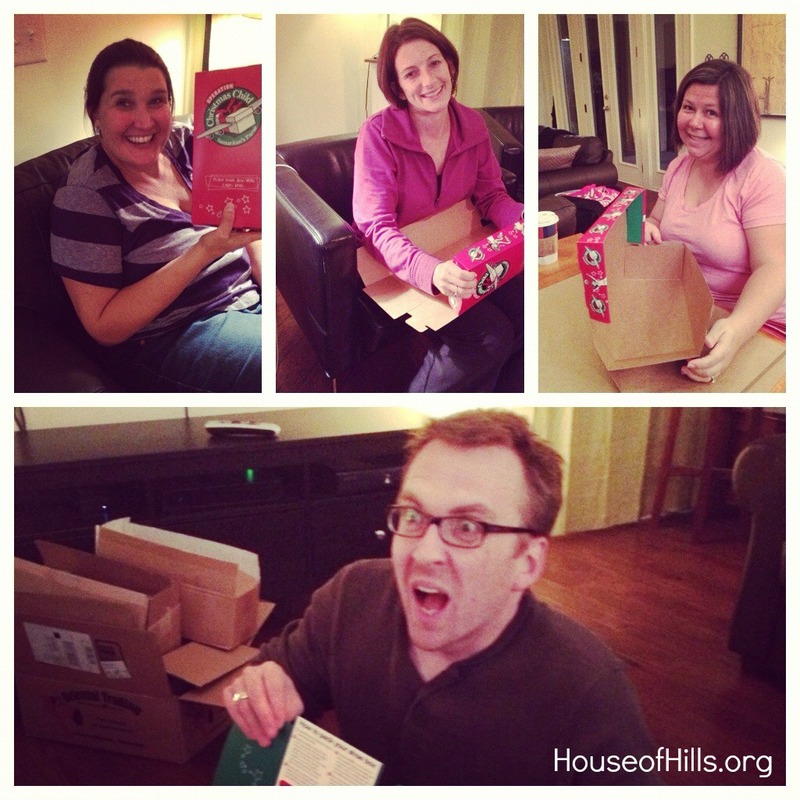 The HOH loves OCC (Operation Christmas Child), and we’ve ushered in the holiday season (and celebrated my birthday) with a huge party right before collection week since 2010. In 2010, we packed 89 boxes. In 2011, we packed 110 boxes. In 2012, we packed 75 boxes. In 2013, we packed 50 boxes. Like I said, the HOH loves OCC, and I want to share that love with you, my Internet friends. 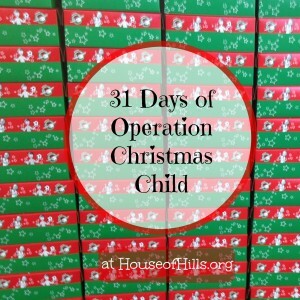 I’ll be talking about OCC here on the blog for the next 31 days. We’ll talk about the history of OCC, how to pack a box, what to put in a box, how to get a box where it needs to go and so much more. So, get ready to pack some boxes friends, because by the time the month is done, you’ll know exactly what to do… just in time for National Collection Week! This year, National Collection Week is November 17 -24, and I’ll be hosting my annual party on November 15th. I can’t wait to share all the fun with you! So come back every day in October to see the newest 31 Days post. I’ll be linking up to #Write31Days along thousands of other bloggers. It’s going to be an awesome month. People. It’s December 1st! Can someone please explain to me how that happened. Have you checked out this amazing resource? I first told you about it two years ago, and I’ve had countless friends do it with their kids and love the experience. 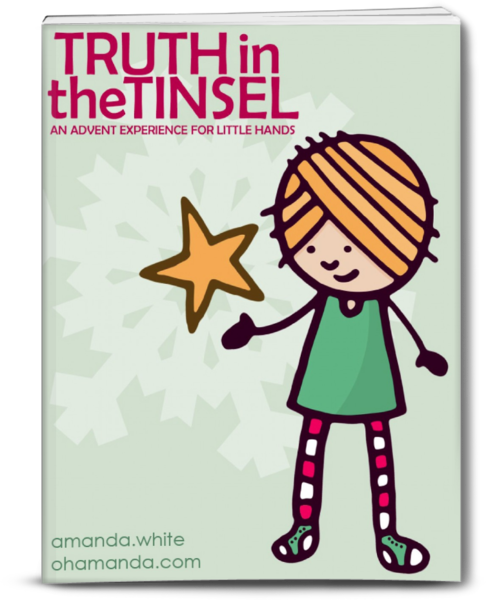 Amanda has even added Truth in the Tinsel supplemental products like printable ornaments and a curriculum for churches. People, it’s just amazing. And, because my friend Amanda loves my readers, (She’s the one who pushed me into blogging you know.) she gave me a coupon code! Use the code HOUSOFHILLS for 20% off the ebook (not ornaments or curriculum). Go ahead. Go grab it for your family. It’s not too late to get started and ensure that your kids remember the real reason for Christmas. Links in this post are affiliate links. All opinions are my own. Merry Christmas from the House of Hills! I know I’m a little late (like a month), but I did want to put our Christmas letter up. 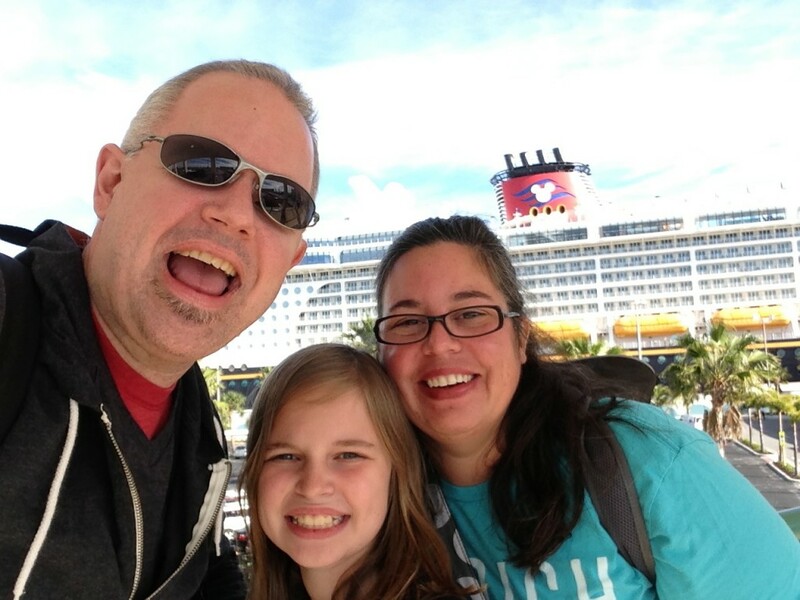 We went on a Disney Cruise for Christmas week! 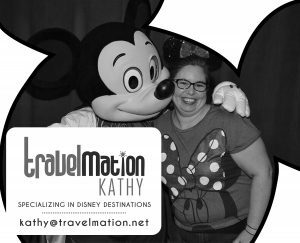 While the cruise was AMAZING * AWESOME * FANTASTIC * SPECTACULAR, (and will be multiple posts to come) getting ready to go out of town during that crazy time of year and returning to even more crazy meant I got REALLY behind on my blogging. I did get my Christmas cards out though! 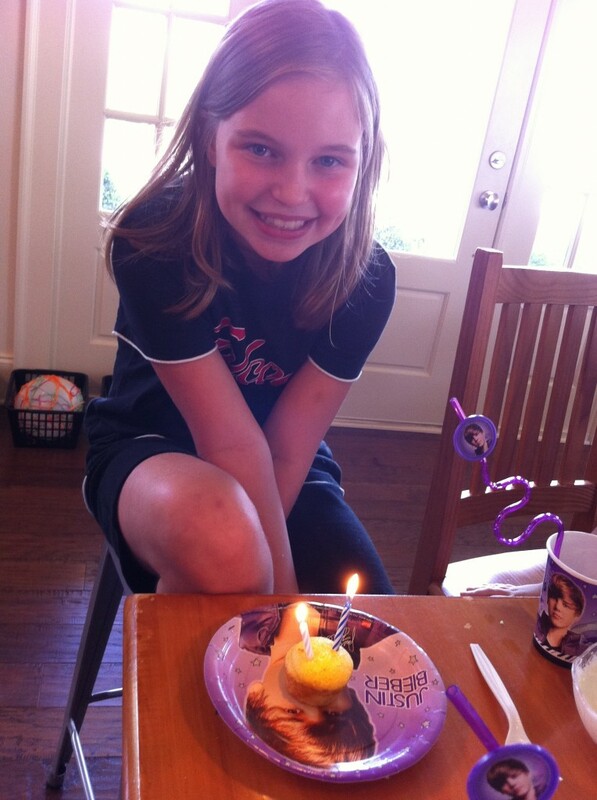 In February, we celebrated the one year anniversary of My Katie’s passing. 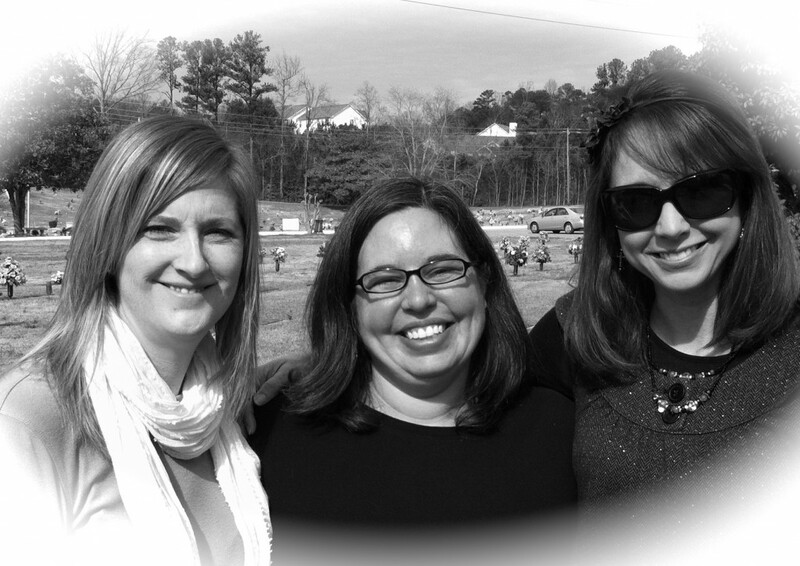 It was a beautiful day, and we met as family and friends to rejoice that she is dancing with Jesus. The sisters and I were glad to have each other to cry with. In fact, we’re just plain glad to have each other. We’re even starting a new website to share our story. 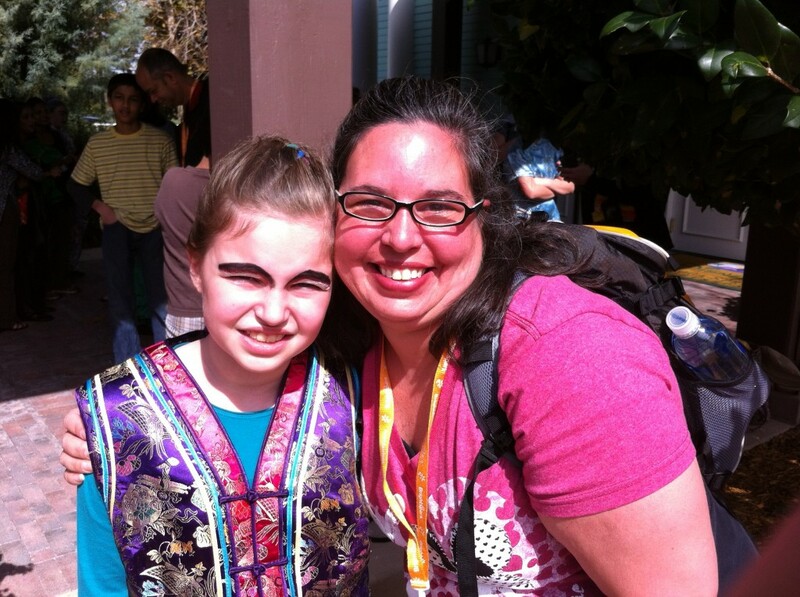 February also saw Mags and I heading down to Orlando for her to compete with her OBDKids troupe. We had so much fun, and the kids had such a great time. I was indeed a proud Drama Mama. Aunt Amy came all the way from Alaska to visit TWICE this year! It was so great to see her and spend time hanging out with her. 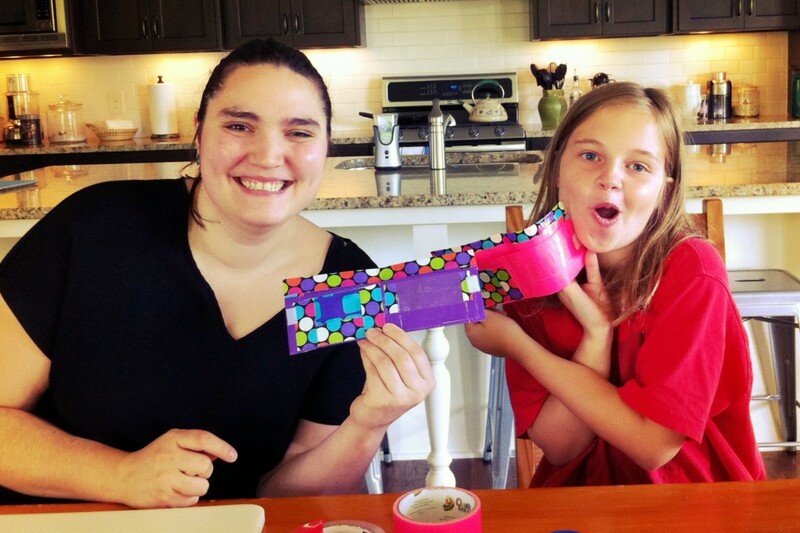 Mags even introduced her to the art of duct tape wallet making. David and I are still working our fabulous jobs. Both of our responsibilities continue to shift and change, but we continue to love what we do. 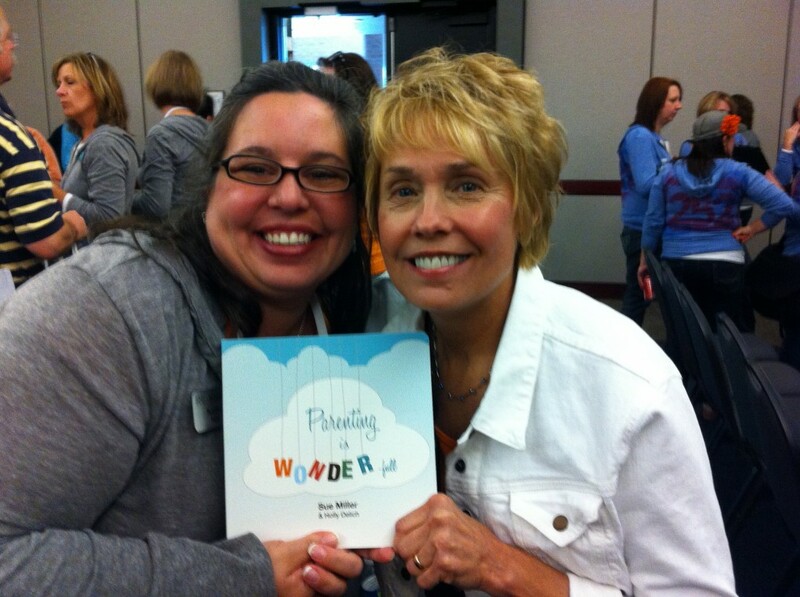 The highlight of my professional year was helping my boss, Sue Miller, and her daughter write a book about becoming a parent. It’s a wonderful collection of ideas, true stories, and pictures that reminds us all of the wonder of parenting. It was a serious labor of love, and something in which I’m very proud to have played a part. She loved being in each and every one of them. She is becoming quite the actress and even has done some video work for my company and our church. 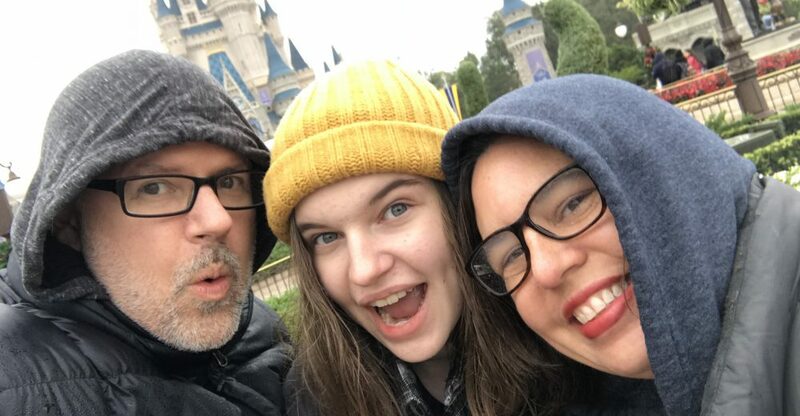 This summer, we spent lots of time with my Katie’s kids. 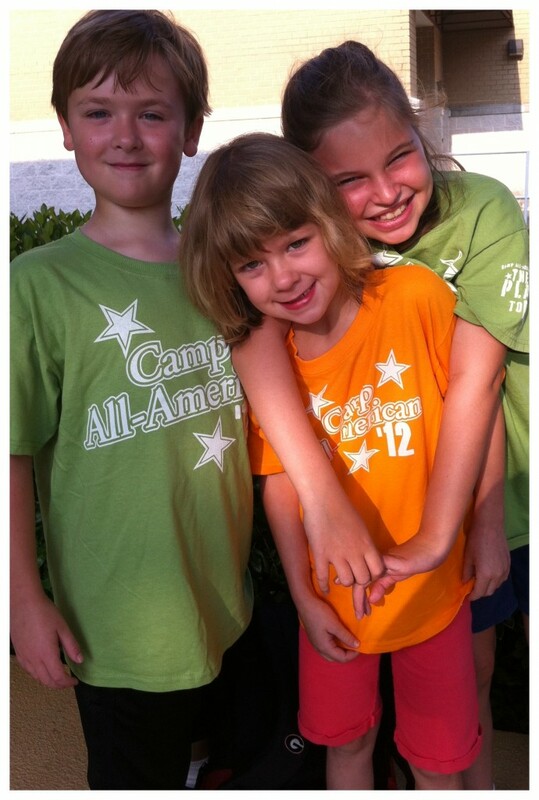 They even spent some time with Maggie at Camp All-American. 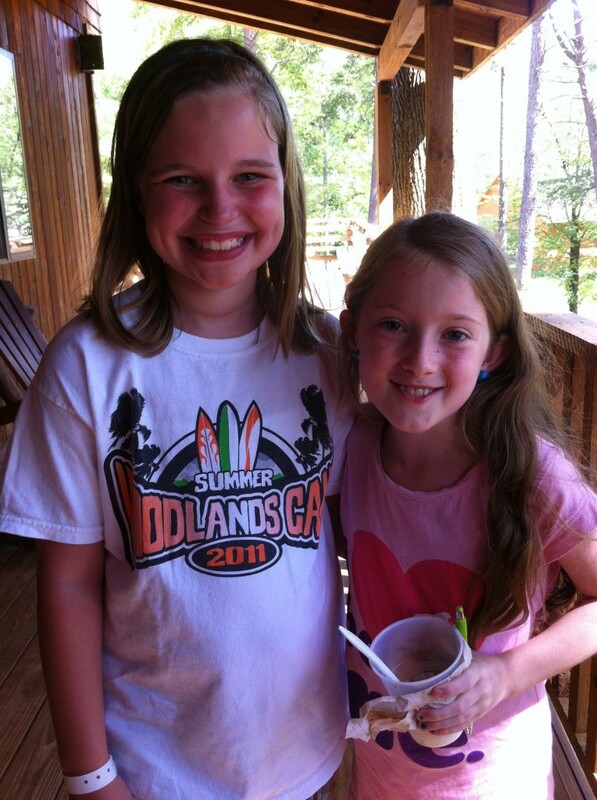 Maggie went back to Woodlands Camp last summer too. In fact, we’ve already signed up for 2013. If you’re looking for a great overnight camp, we highly recommend it. Our girl turned TEN this year. We had a super fun craft party when six of Mags’ friends came over and we had so much fun crafting and dipping cupcakes in icing and sprinkles. 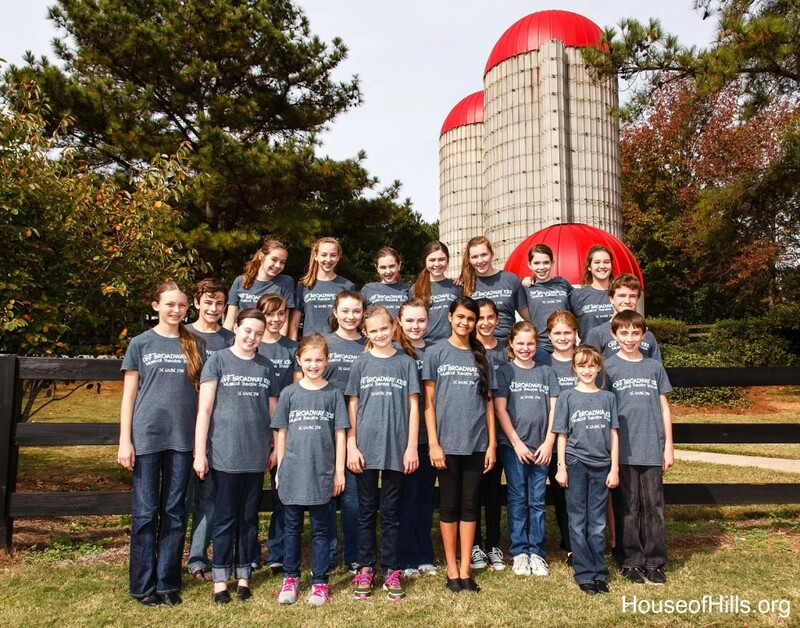 The fall brought us another season of OBDKids. This year they are working on Little Mermaid Jr. and Maggie is Flotsam. She really seems to enjoy being the bad guy. Her troupe has grown really close over the last few months as they have worked SO HARD to prepare for not only six shows but two competitions. We also participated in the 30 Day Giving Challenge this year. It’s one of our FAVORITE ways to spend November. We have so much fun brainstorming how to give to others. You can look through the blog to see some of the ideas we had. That’s pretty much it. Our year in a post. Today was the day of our BIG GIVE! It was my Operation Christmas child Birthday Party! See—I even got to wear my birthday pin! This was our THIRD time doing this party, and I think they just get better every year. First, let me say this. I COULD NOT do this party every year without my hubby. He is such an integral part of the entire process, and I was SO THANKFUL that he took the day off so he could party with us. He helped with setup. He helped people pay for their boxes online. He took out countless bags of trash, and I’m sure there is a ton of stuff I don’t even know he did. So, a big shout out to my best friend. 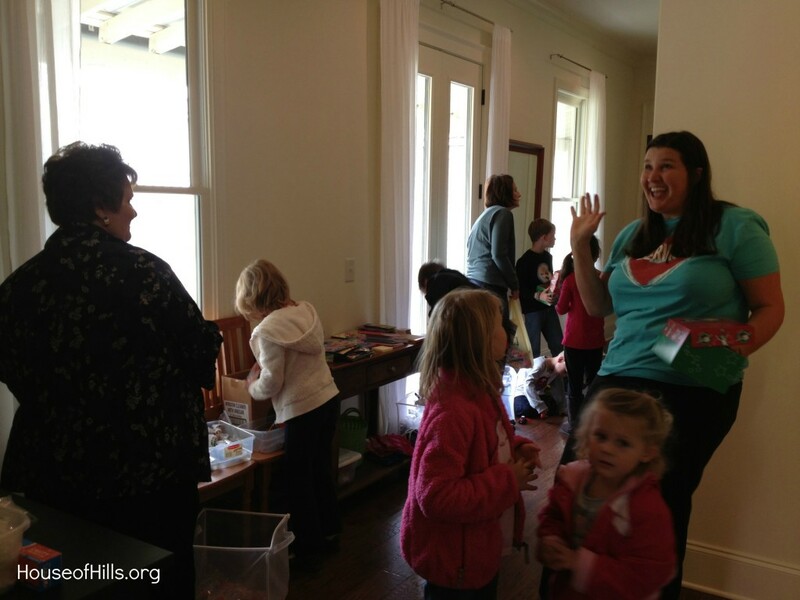 Once our guests had experienced orientation, they dove right in to packing boxes. Check out all those boxes being packed at once! My mom came with two of the cousins, and they packed TEN boxes. Then, a friend came and packed SIXTEEN! It was awesome. At one point, my hall was full of people getting things for the boxes!!! All in all we packed 75 BOXES! WHAT? WHOOP! I’m thrilled with that. And, there is still stuff sitting in my hall. I might run by the store and grab a few more “big” items tomorrow so we can pack a few more before we take the entire load to church on Sunday. THANK YOU! THANK YOU! THANK YOU! to all my friends and family who made my birthday so special this year! I appreciate you more than you’ll ever know. 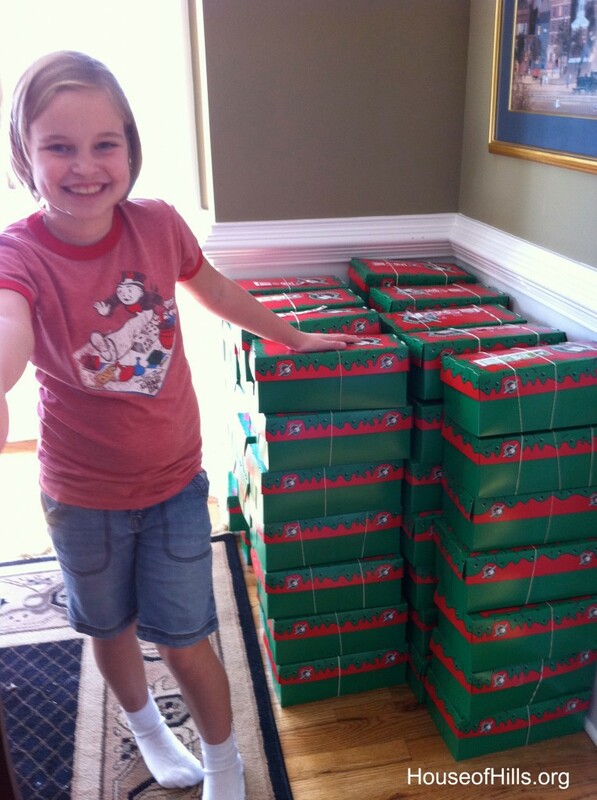 There’s still time for you to pack an Operation Christmas Child Shoebox! You know you want to. Just do it! Today was preparation day! Tomorrow is my big Operation Christmas Child Birthday Party, and there was lots to do to get ready. Maggie and I went to do a little shopping at Walmart. 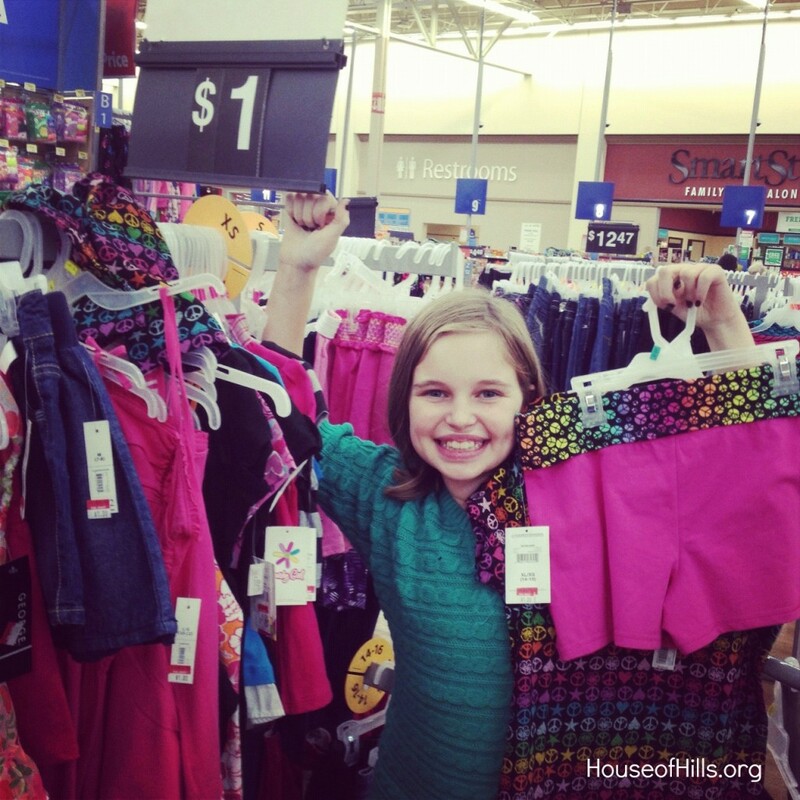 We found several matching outfits on the $1 rack, and were so excited about adding those to the boxes. I was so proud of my girl. She puts a portion of all the money she makes through her allowance and odd jobs aside to give to others. 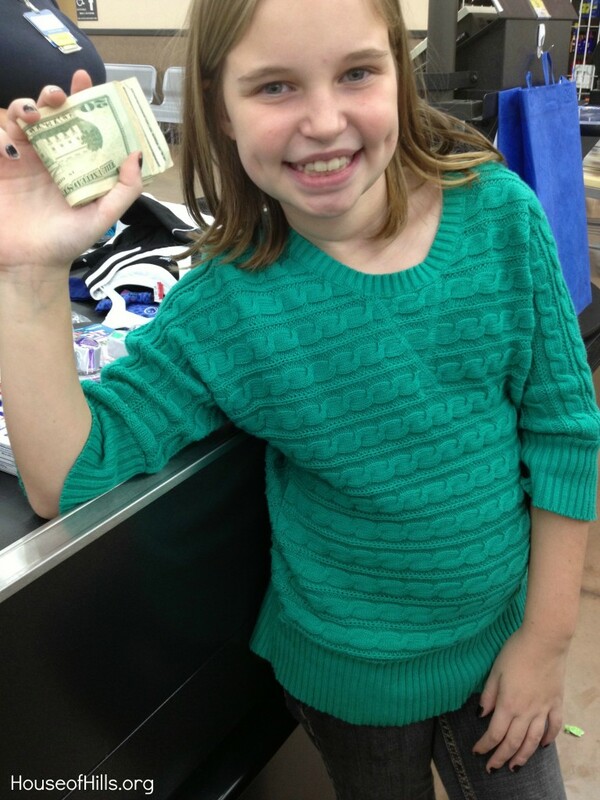 She had been saving for an entire year for this year’s shoe boxes and had $100 to spend. That was enough to pack five boxes, including the shipping. After the two of us filled the mini-van with bags from Walmart and the Dollar Store, we headed home. Poor Hubby had to work. 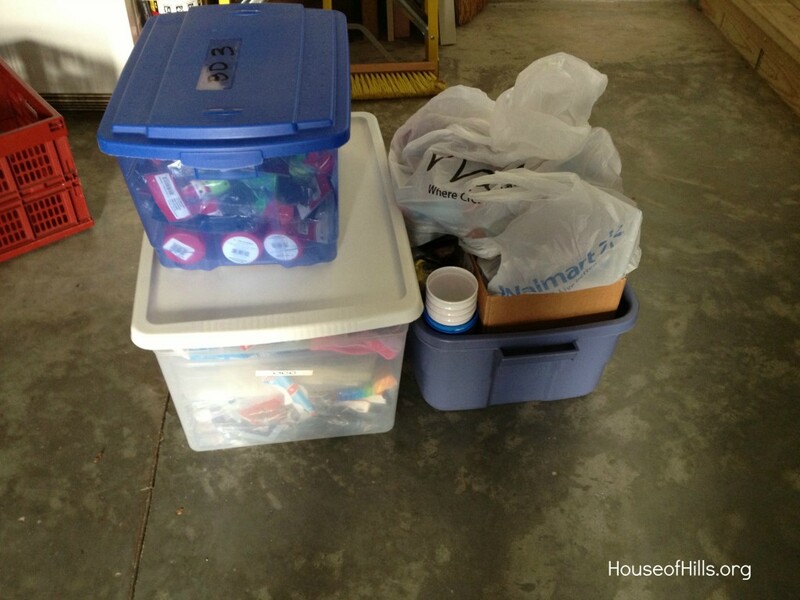 But, several friends my Small Group helped us organize all the goodies from my tubs in the garage. 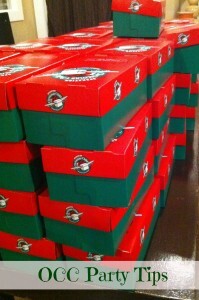 Then we put together the 100 boxes I’d ordered from Operation Christmas Child. By the time we went to bed that night, we were ready for a fun OCC party in the morning. For the last two years I’ve thrown Operation Christmas Child box packing parties. The 2012 party is coming up, and we are in full prep mode for this year’s fun! We’re making lists and doing some online ordering and getting the word out about the party. 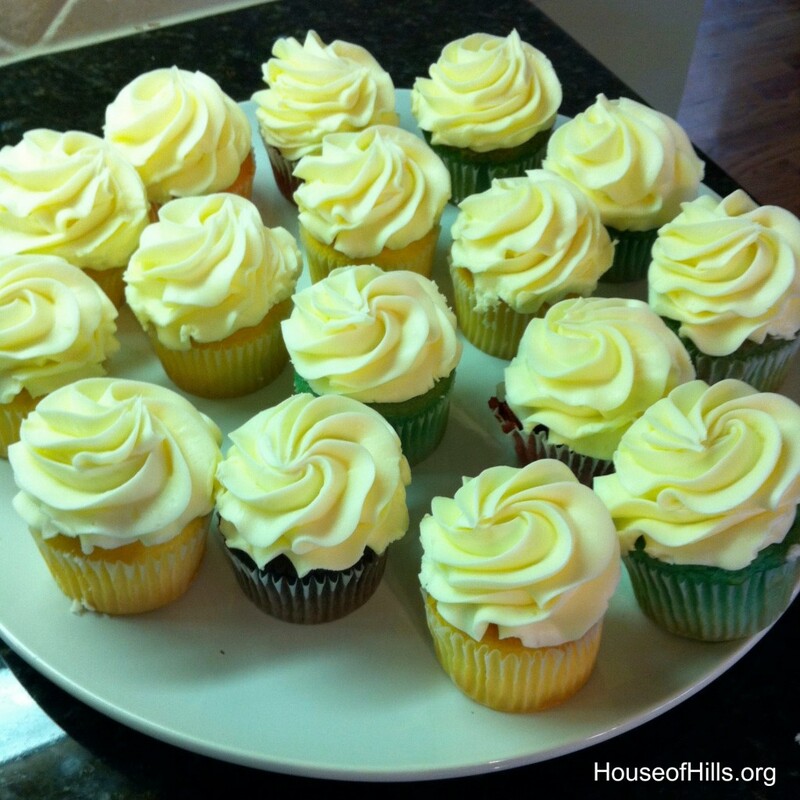 As I prepare for the big day, I wanted to share the Top Ten things I’ve learned about throwing an OCC Party. 1. Determine what type of party you want to have. 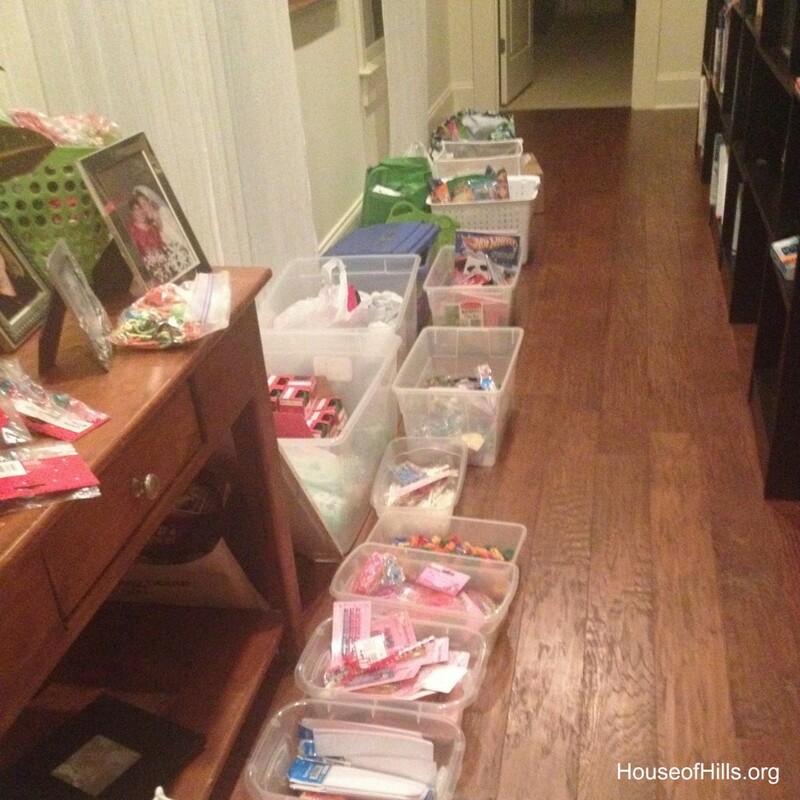 Are you having a birthday party for one of your kids and letting friends pack boxes? Or, are you having a birthday party for yourself (like I do)? Then, you’re going to want a birthday party theme, with party balloons and cupcakes. Are you just having a OCC party? Then, you’ll want a Christmas theme. I always have Christmas music playing, apple cider in the crock pot, and red and green balloons. 2. Be clear on your instructions for what guests are supposed to bring. If you’ve already got the boxes, then they don’t need to bring them! You can order party supplies easily through Samaritans Purse. If you are providing some of the things to go in the boxes, let them know. I try to get some things donated by friends and family each year. They’re my birthday presents. I let my friends know that they don’t need to bring certain items, because I already have 100 of them. 3. Provide a way for your guests to pay for the shipping. 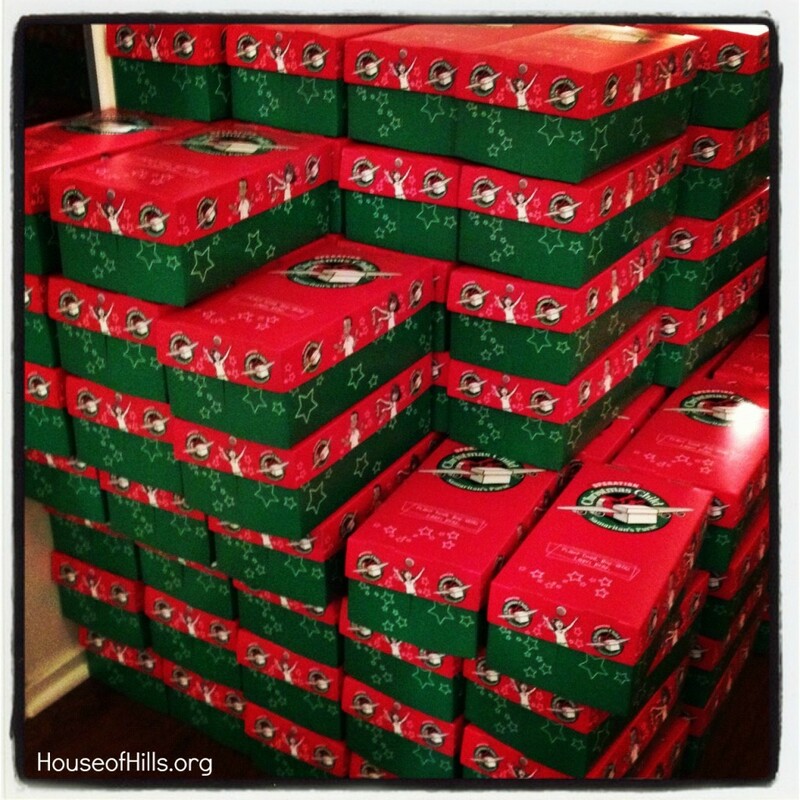 It costs $7 per box to ship an Operation Christmas Child box. That $7 either needs to be in the box or you need to pay online and print a label. I provide envelopes and cash for my guests. Then, they can write me a check for $21 and we can put $7 in each box. Or, they can go on my computer (or theirs if they plan ahead) and pay the shipping online. They print out a label to put on their box that allows them to know where it is delivered. How fun is that? 4. Know where you are going to drop off the boxes. 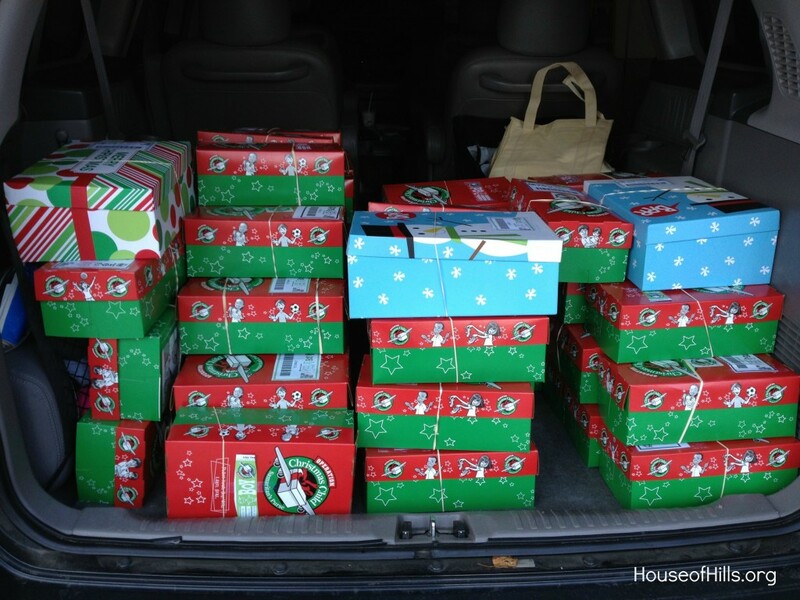 Once you’ve packed all the boxes, you’ll need to get them to Samaritan’s Purse. There are drop-off locations all over the country, just visit their website to find one near you. 5. Collect things for boxes all year around. As soon as my Operation Christmas Child party is over, I start collecting for the next one. I now have two big tubs in the garage full of things we’ll use for this years party. Shop clearance sales after holidays. Hit the Dollar Spots at Target and Walmart. 7. Have a note writing station. Can you imagine being able to talk to someone half-way around the world and telling them that God loves them? You can, through a shoebox. Be sure to have a place where your guests can write personal notes to put in each box. And, don’t worry about translation. Somebody on the other side of the world will help with that. 8. Make sure the box is REALLY full. It should be about to burst. In fact, you’ll want some rubber bands available to hold boxes closed. Make sure you box doesn’t have extra packaging in it. Take those matchbox cars and Barbies out of their boxes! You will find that some people are exceptionally good at packing a box. It’s like a big puzzle. Those people that are good at it… keep them around for the whole party. 8. Have a basket of supplies. You’ll need baggies for soap, rubber bands to hold boxes closed, tape to adhere the girl and boy labels, scissors for opening packages, pens and more. Think through everything your guests might need and make sure it is available to them. You’re also going to need more trash bags than you can imagine. 9. Food! Make sure you’ve have munchies for your guests. I usually go with Christmas party favorites like sausage balls, meatballs, veggies and some Christmas cookies. If you are going to have little people, be sure to have some Goldfish and pretzels. And, don’t forget the drinks. 10. Have fun! It’s a party! Make sure everyone is having a great time. My Operation Christmas Child party has become one of my favorite days of the year. I look forward to it all year around. I smile from ear to ear the entire day. 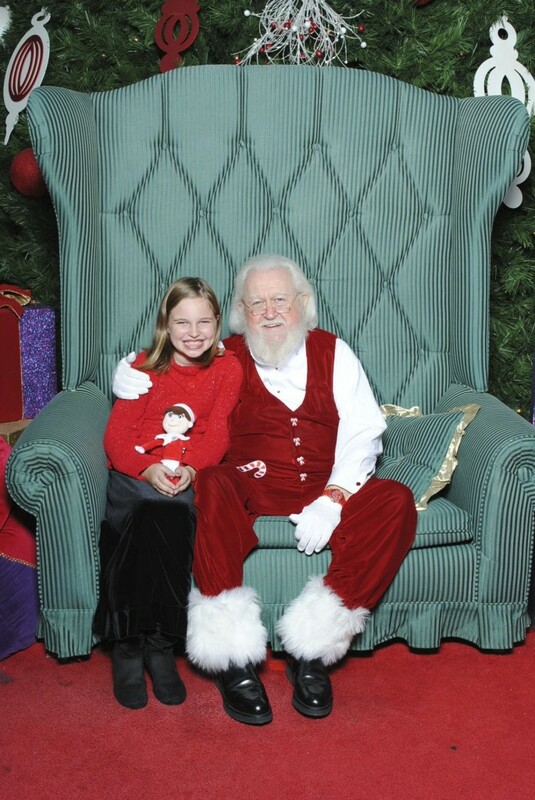 There is nothing better than sending Christmas to a child to experience it for the very first time. Update: I started an Operation Christmas Child Pinboard to help you get other ideas. 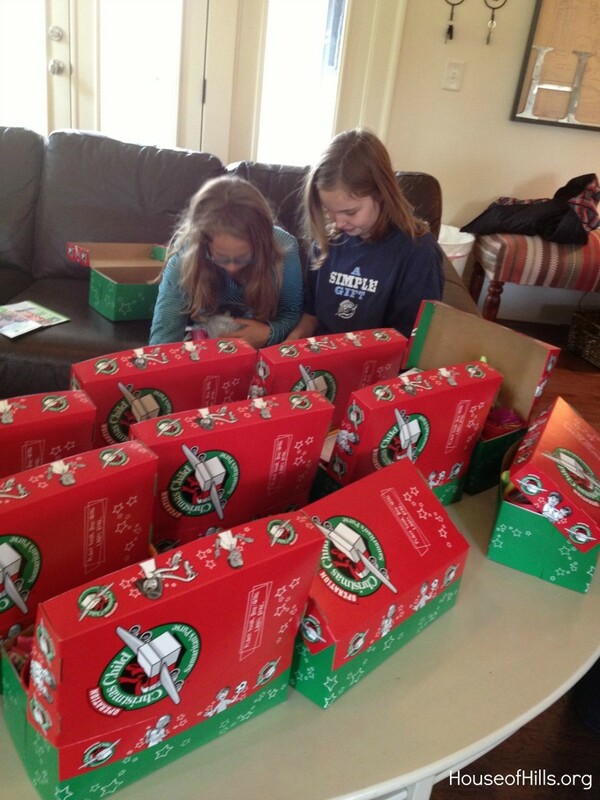 And, there is an Operation Christmas Child Virtual Box Packing Party going on! Have you ever packed a shoebox? Linked to Top Ten Tuesday at Many Little Blessings. This box came in the mail this week! I’m so excited. Do you know why? IT MEANS IT’S ALMOST MY BIRTHDAY! Wait? What does Operation Christmas Child have to do with my birthday you say? If you’ve been around the House of Hills for a few years, then you know. WE THROW AN OCC PARTY FOR MY BIRTHDAY! In 2010, we had the party at our temporary house. We packed 89 boxes that day! It was so much fun! In 2011, for my 40th birthday, our goal was to hit 120 boxes… 3 for every year of my life. We almost made it. We dropped off 110 boxes. I was so pleased. This year, we’re changing it up and doing the party a bit earlier, on November 6th. Yes, that’s election day. And, because of schools being polling places, there is no school for the kids. I thought “Why not give the kids something to do!” We’re having it at my house this year. Sweet Hubby is taking the day off to help, and we’re going to use every inch of our tiny space. If you’re a local friend, you’ve probably been invited to my OCC Birthday Party Facebook page. If not and you want to be, let me know! $7 cash or check per box (have to put in each box) – or you can print labels to track your box online before you come by visiting here. 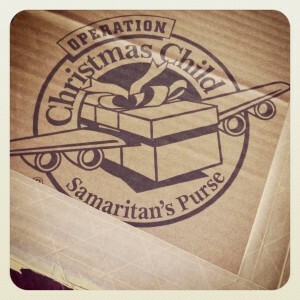 For more information about what to pack in an Operation Christmas Child shoebox, visit Samaritan’s Purse. This party has become one of my favorite days of the years. I can’t wait to have fun with all my friends. My goal this year is to do another 100 boxes (that’s all I’ve got to pack). I think we can do it! Update: I started an Operation Christmas Child Pinboard to help you get ideas! 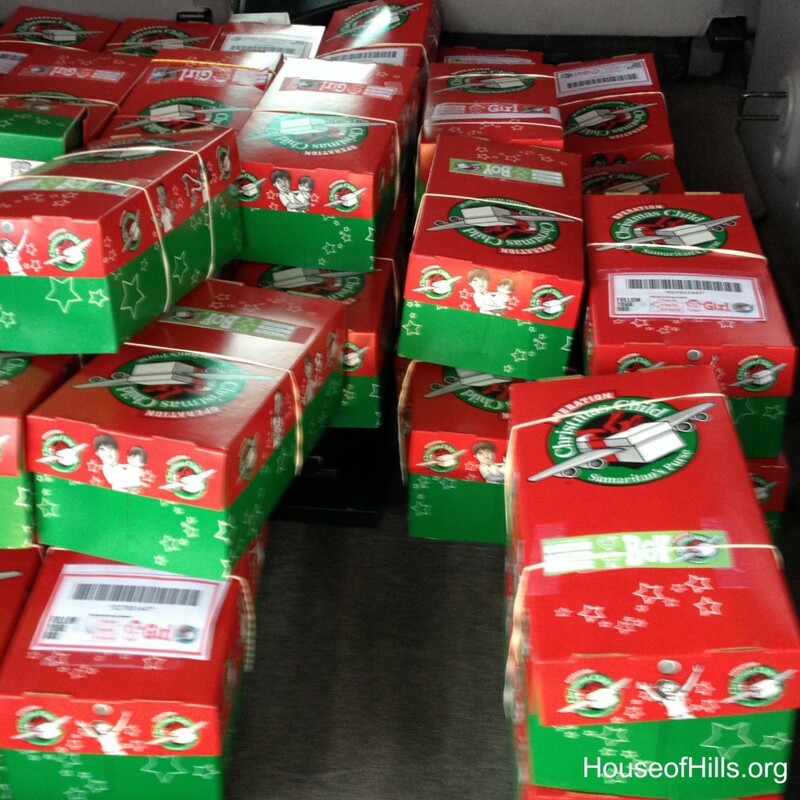 Do you pack boxes for Operation Christmas Child? Do you give in a different way? Contents on this site are ©2012 HouseofHills. All Rights Reserved. Please contact me through this blog if you would like to publish this content somewhere.